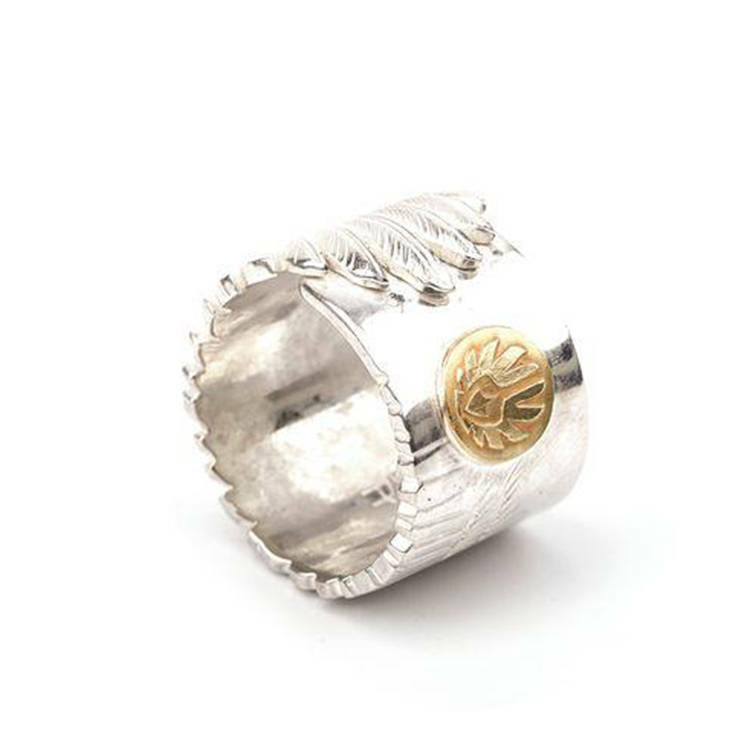 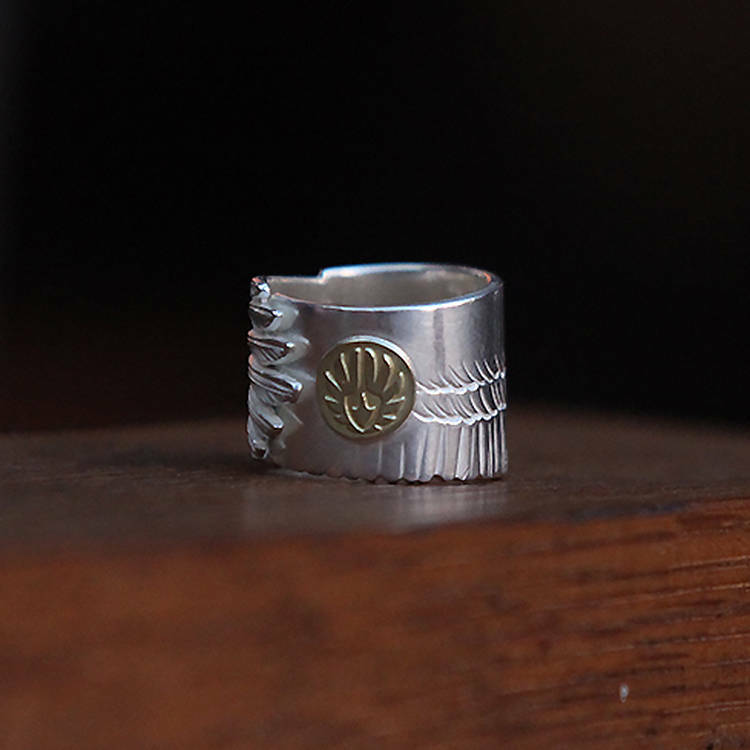 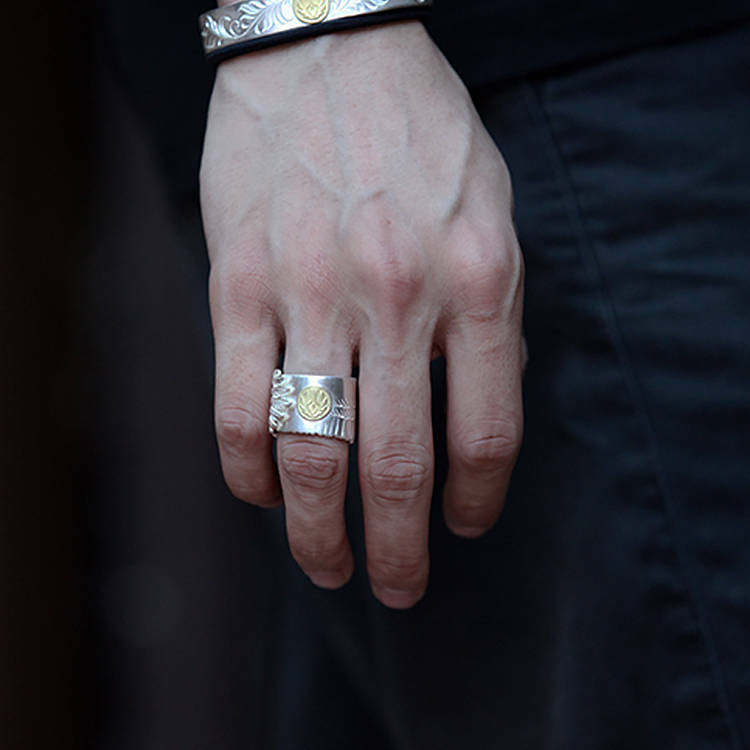 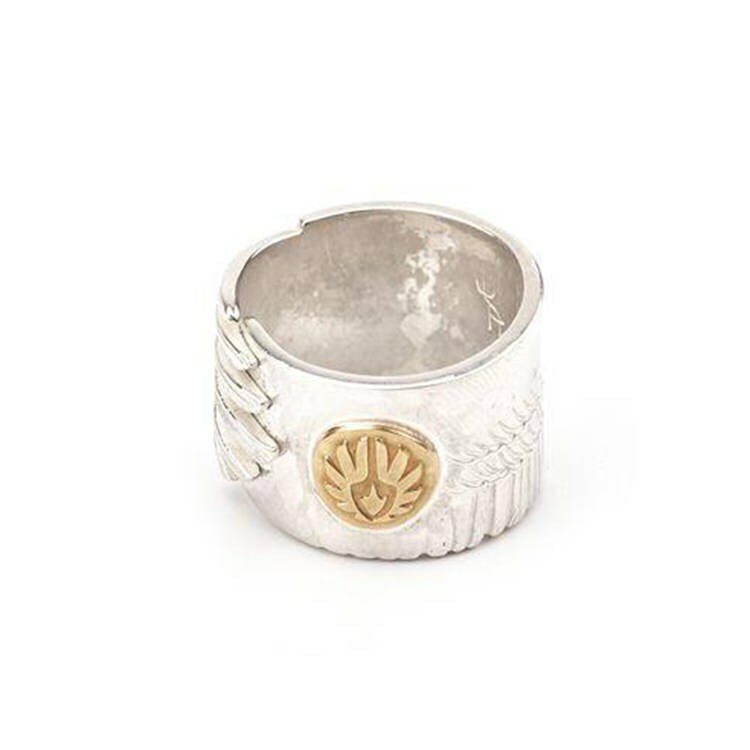 This eagle ring is crafted with 925 sterling silver, and the 18K gold eagle logo in the centerpiece provides an additional spice. 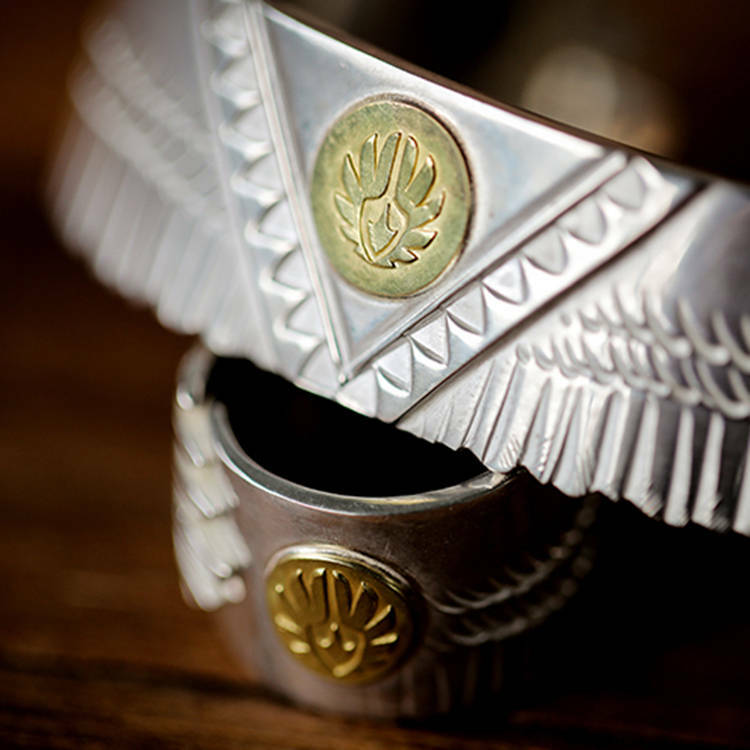 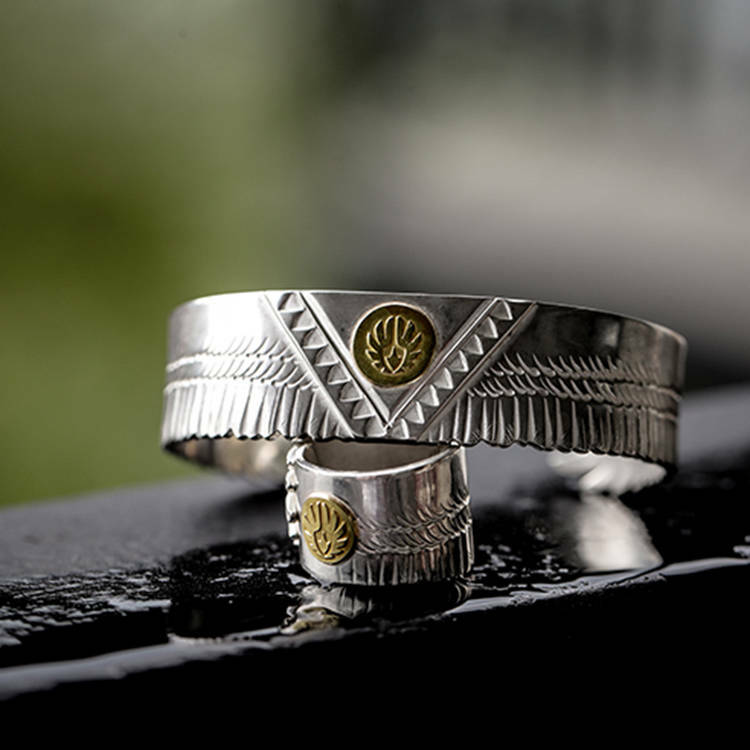 We use the eagle wings to wrap the finger to symbolizes the eagle's act of lifting after capturing the prey. 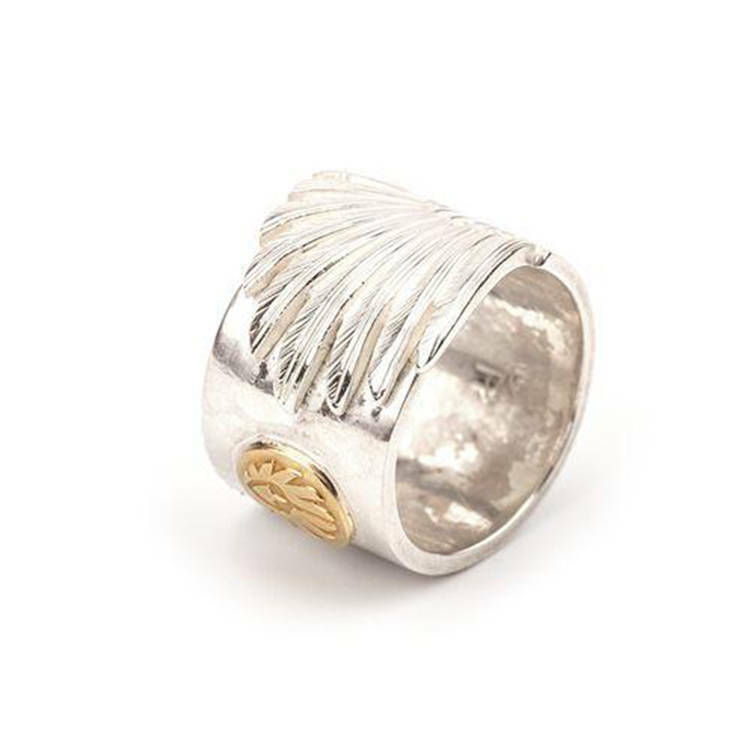 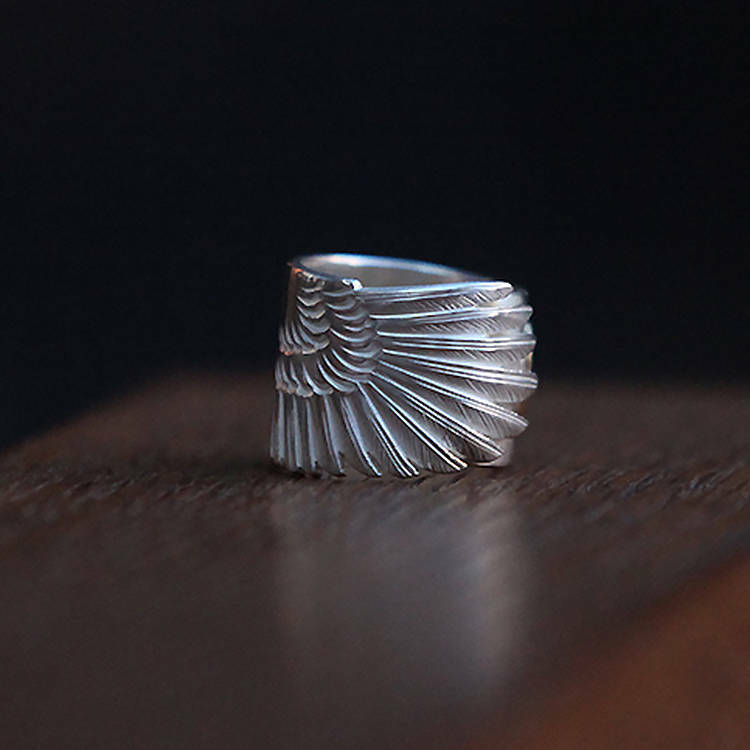 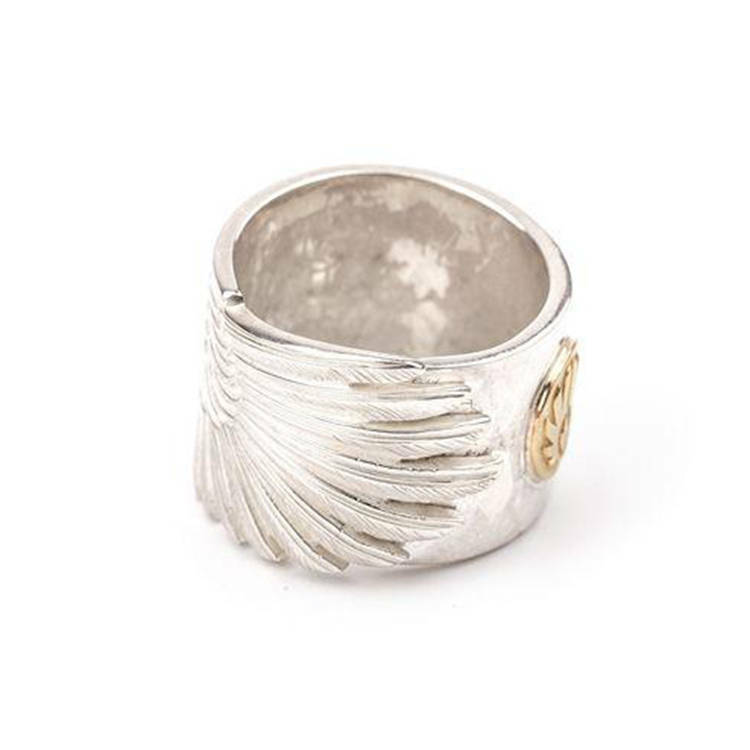 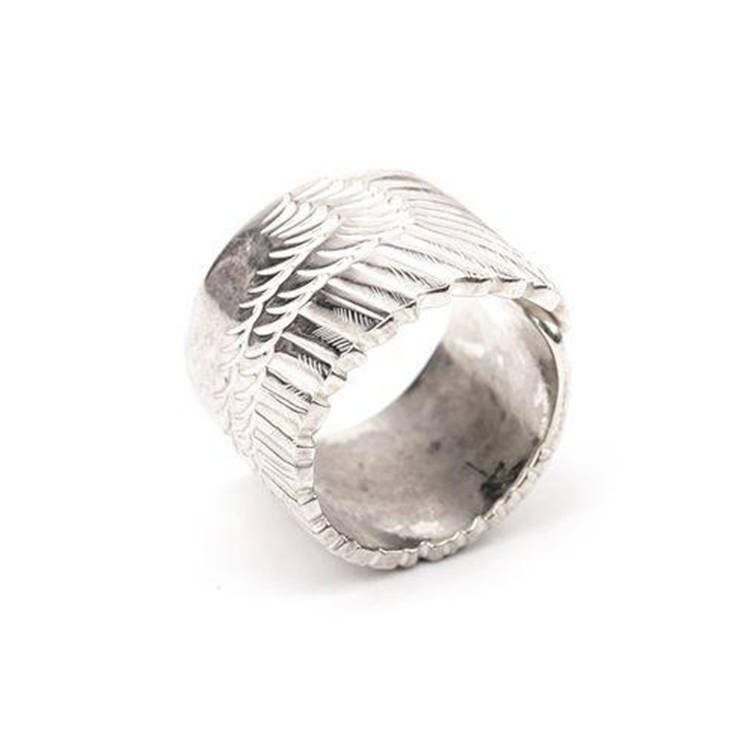 Every feather on the wings is crafted into details and created a layering effect.